There was a time when video games got you out of the house and up on your feet. 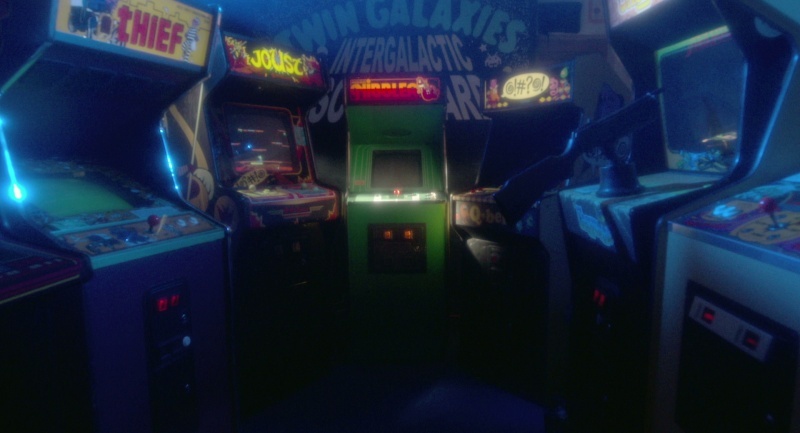 In the 1980s, gaming was done in the arcades, requiring at least some level of human contact. Some people remain nostalgic for old school video games and as is often the case with gamers, a few are still prone to obsession. That could very well be the case when the original Nibbler champion seeks to regain his title. Tim Kinzy & Andre Seklir document his underdog pursuit of retro-gaming glory in Man vs. Snake (trailer here), which screens during the 2016 Portland International Film Festival. It might take you a while to remember Nibbler. It was sort of like Pac-Man, but it featured a snake with an inconveniently growing tail rather than ghosts. It was not exactly the most popular game in the arcade, but it was attractive to competitive video-game players, because it offered the chance to score one billion points. Tim McVey was the first documented player to reach that milestone. That would be the other, nicer Tim McVey. For years, he assumed he was still the Nibbler champ, but he comes out of retirement when he learns a player in Italy bested his score. However, he will have competition from a younger player gunning for the title himself. It might seem like a dubious quest, but his indulgent wife supports him. He also has the old school video game establishment in his corner, including the media-savvy Pac-Man champ Billy Mitchell. Aside from his understanding wife Tina, McVey sort of fits the gamer stereotype. He is somewhat on the schlubby side, working a depressing job and going through life with an unfortunate name. Yet, M vs. S will challenge many of the viewers’ snarky prejudices. Walter Day, the owner of the arcade where McVey set his original record and the leading arbiter of competive arcade gaming is a case in point. Deeply steeped in eastern philosophy, he turns out to have a lot more going on than Nibbler. Yet, they all seem to be pulling for McVey for the same reason they did in the 1980s. He just needs it more than his competition. Like Wide World of Sports, Kinzy & Seklir capture all the thrill of victory and the agony of defeat. Frankly, it all gets pretty epic, but McVey’s earnestness will completely win viewers over. You will come to understand how cruel the snake can be and root for the underdog to have his day. 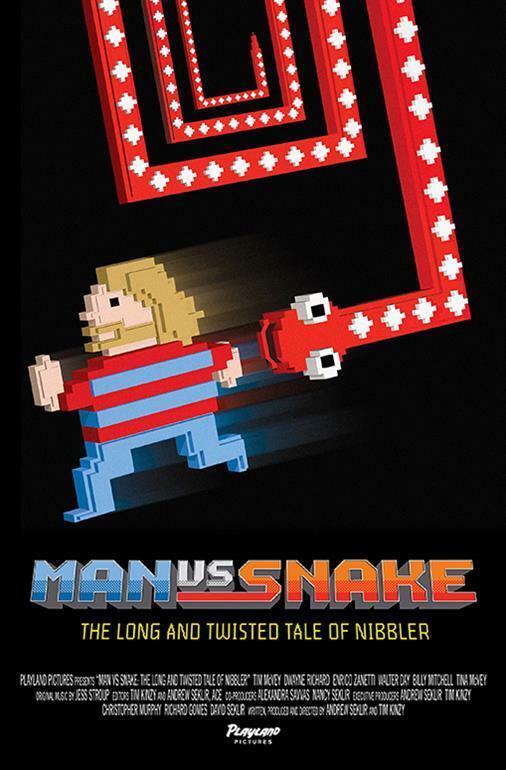 Highly recommended as eighties nostalgia and a sympathetic look at a small but ardent gaming sub-community, Man vs. Snake screens this Saturday night (2/27) during the Portland International Film Festival.